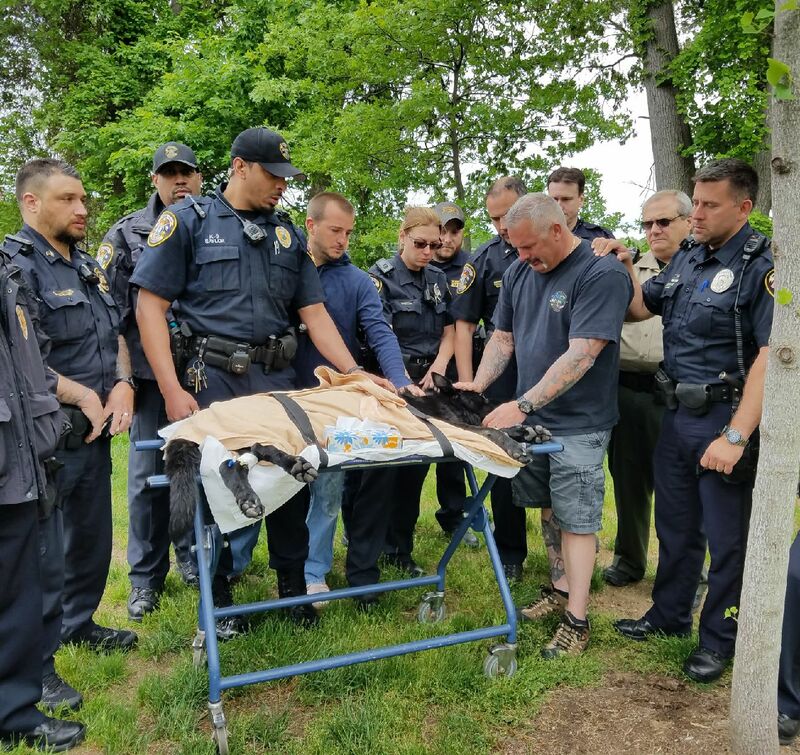 Saying good-bye to K-9 Iko – Windsor, Connecticut Police Officer Steve Vesco is surrounded by other Windsor emergency responders May 22, 2017. Ofr. Steve Vesco and K-9 Iko. 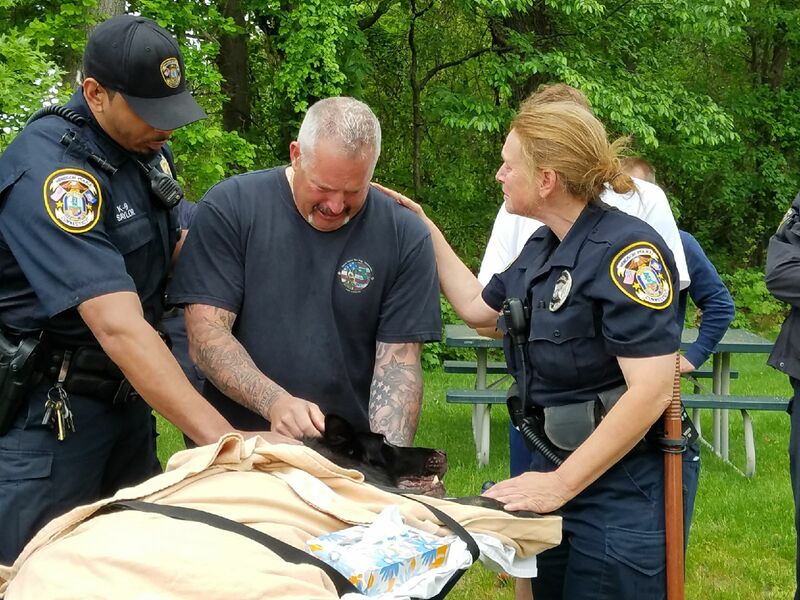 Officer Steven Vesco was joined Monday morning, May 22, by fellow first responders in Windsor, Connecticut to say good-bye to retired police K-9 Iko. It was just a few months ago that Vesco was optimistic about Iko’s prognosis for recovery following surgery for a herniated disc, and anticipated the 9-year-old German Shepard would live at least two more years. Having served Windsor together as partners for eight years making arrests, drug seizures and community appearances, Vesco wanted a happy, peaceful retirement for Iko. Things took an unexpected turn this past weekend. “He was a fighter. I knew he would keep fighting. But for who? Me. I couldn’t be that selfish,” Vesco said Tuesday. 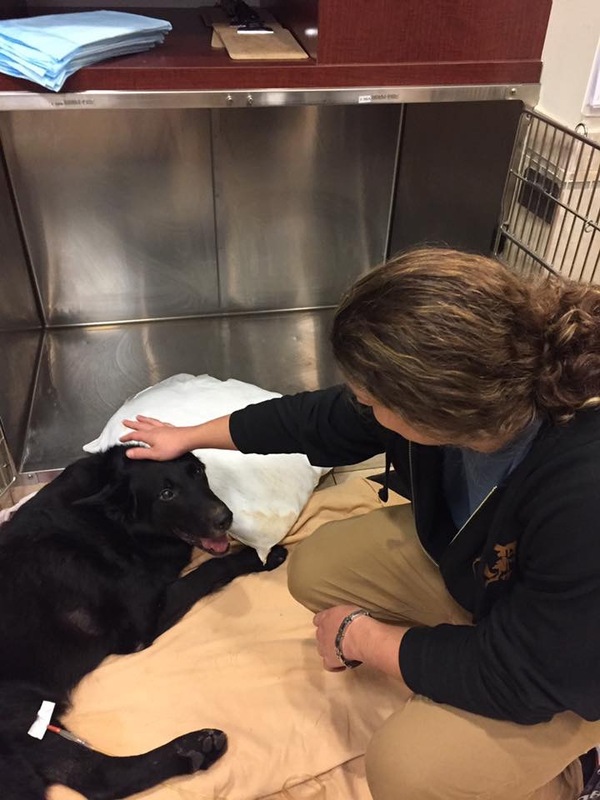 Before departing on an annual fishing trip with his father and a couple of buddies last Thursday, Vesco had boarded Iko at the New England Veterinary Center (NEVC) in Windsor, not wanting his wife Heidi, step-son Sage and daughter Sadie to have to care for Iko while he was away. Vesco felt confident the canine would be well tended at the NEVC, which has veterinary services immediately available. Before word came about Iko, Ofr. 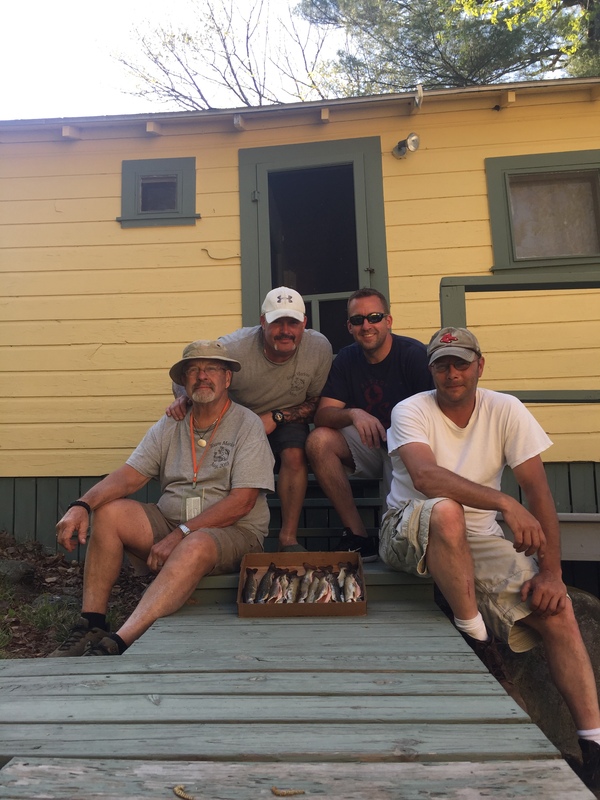 Vesco enjoying an annual fishing trip with his dad and friends. Two days into the fishing trip word came that Iko was having a hard time standing on his own. Vesco cut the fishing trip short and returned. Even with Vesco present, Iko could not stand. Another surgery was a consideration. Iko had been diagnosed too with a urinary tract infection and needed to be moved to intensive care. On Sunday Vesco attended his niece’s graduation from Quinnipiac University but left early from a family gathering held afterward to think the situation over. His wife and children stayed, then on the drive back home they stopped to see Iko at the hospital. “When Heidi got home she said – ‘you have to decide,’ ” recalled Vesco. On Sunday night, Vesco returned to the NEVC. There he made the very difficult decision to have Iko put down. Iko was never quite the same after the two were in their cruiser and hit by a drunk driver three years ago, said Vesco. It was in 2008 that Vesco had to say farewell to his first K-9 partner, his beloved Jag passed away not long after retirement. On the day of Jag’s passing, he was visiting the Windsor Public Safety Complex and on-duty officers formed an honor guard when the K-9 was carried out of the building. However, Vesco went alone with Jag to the veterinarian. “There I was with Jag, all alone in my uniform. I knew I couldn’t go through that again,” Vesco said. Iko was brought outside NEVC on a stretcher. Among those joining Vesco Monday morning to say good-bye was Sgt. John Simon, a fellow K-9 handler who lost his longtime K-9 partner Kane in 2015. Kane was 16-years-old and had been retired for three years when Simon had to have him euthanized. It remains uncertain whether or not a memorial service will be held for Iko. 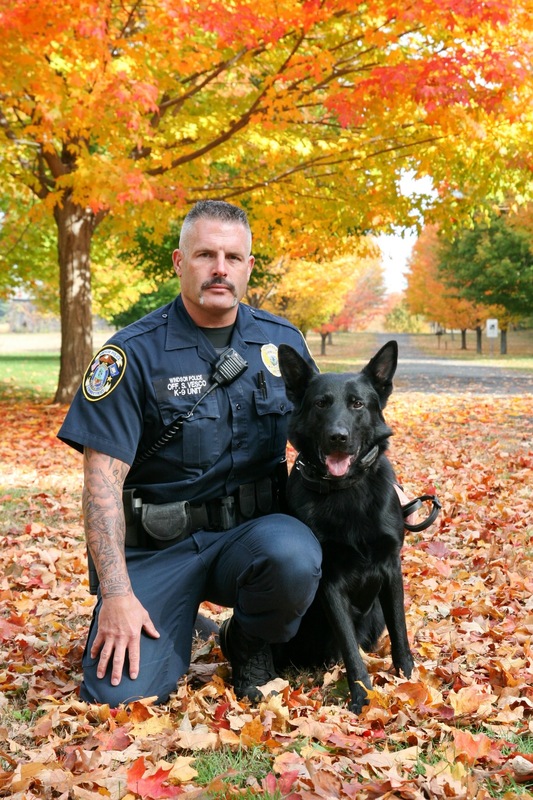 There had been discussion of holding one for Kane which has not yet materialized, so Vesco said, any memorial would be a remembrance of both K-9 Kane and K-9 Iko. He said it may be left at the good-byes already exchanged. Vesco emphasized he is extremely appreciative for the calls of condolences that have been coming in, and added he simply cannot put into words how much it meant to have the big turnout from the Windsor community for a fundraiser in February 2017 held to pay towards the medical costs that had accrued for Iko. It was earlier in February that Iko was retired. As well, Vesco expressed appreciation to his bosses at the Windsor Police Department for their understanding. He said his family and friends have been supportive. Having gone through such a loss with him not once, but now twice – it has been an especially emotional experience for his wife, step-son and daughter, noted Vesco. Last but far from least, Vesco praised the medical staff at NEVC for the care they gave Iko, their professionalism and compassion. So sorry for the loss of this K9 Hero.. Prayers are with his family, friends and fellow officers. Thank you for your service. Run free while you wait for yout family to join you K9 Iko. You are loved and will be missed.